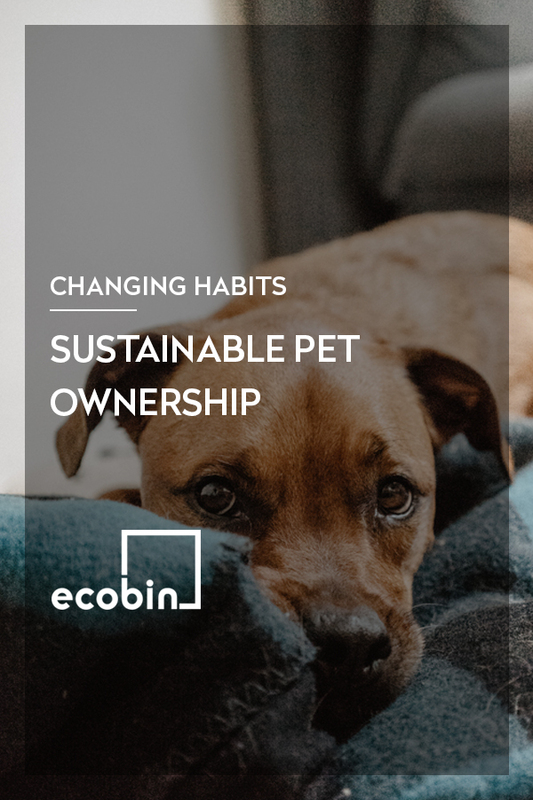 This month at Ecobin we are celebrating National Pet Month. We absolutely love our furry, feathered and scaly friends and have a fantastic competition running over on our Facebook page to find the cutest pet! We are also donating $5 from every photo submission to Pets of the Homeless who provide food and veterinary care to pet owners in times of hardship. Consider swapping the usual kitty litter crystals over to shredded recycled paper. This is much more environmentally friendly and helps to repurpose old paper. When you are walking your puppy dog and need to pick up after them, make sure that you are using biodegradable litter bags. Prepare your own pet food, it doesn’t take much work to cook up some pet friendly meat (your local butcher and vet can help guide you out with the best options). By preparing your pets meals at home you are ensuring that they are eating the very best meals possible for their health, and also helping to reduce the amount of plastic packaging by not purchasing supermarket packaged foods. Create your own DIY pet toys. By knotting up some old fabric and letting your puppy chew on it, you are helping to reduce single use, poorly made pet toys and also repurposing old items around your home. Using an old container and popping a bell inside is a great way to entertain your cat for hours on end! There are so many great ideas online for making safe toys for your pets, so why not get crafty and help out the environment at the same time! We hope that you’ve found a little inspiration in some of our tips, and don’t forget to send us the cutest pic that you have of your pet – we can’t wait to see!